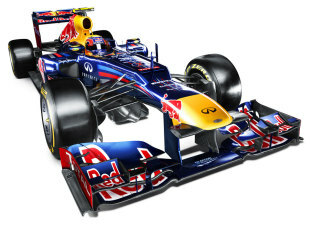 Red Bull is set to launch its 2013 car - the RB9 - in Milton Keynes on February 3. The launch date is two days before the start of the first pre-season test of the year in Jerez, implying that the car will run from the start of testing. 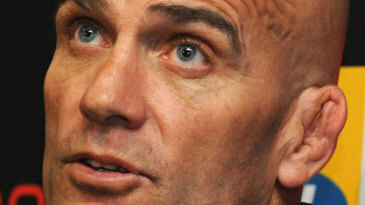 That's despite Adrian Newey having previously admitted that he is playing catch up with the new car following the close championship battle until the final race of last season. "If I'm honest, [developing the RB8] has compromised the timescales of the new car more than we would have liked," Newey said. "It was the right trade at the time because we managed to get the job done but it means a busy winter trying to catch up again." However, it appears Red Bull will have a version of the car to run at the first test which runs from February 5-8. The RB9's launch follows McLaren on January 31, Force India on February 1 and Sauber on February 2. Red Bull will be going for a fourth consecutive drivers' and constructors' championship double this season and has retained the driver line-up of Sebastian Vettel and Mark Webber.